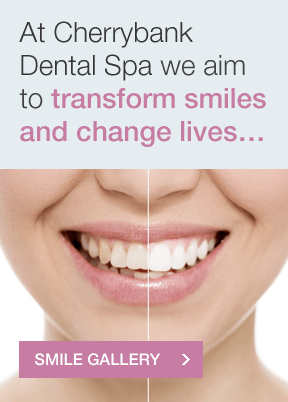 What is a Dental Spa? 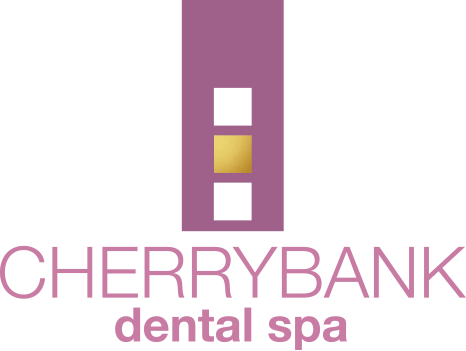 At Cherrybank we can bring together our team of experts, combined with excellent care and support, to help you regain that confident smile, in one day and without the need for a denture. 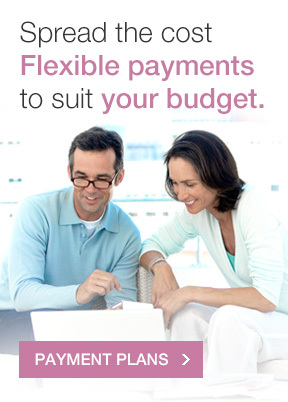 Our Fixed Teeth in a Day option uses the All On 4 dental treatment method to ensure you get the results you desire. 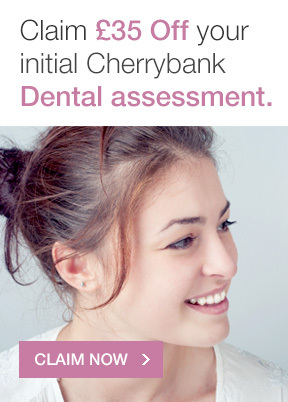 In a last bid attempt to get her smile back, this patient came to Cherrybank in Edinburgh looking for help and advice on what could be done. Throughout the years she had had various dental treatments carried out but overall was never fully happy with how her teeth looked, in terms of the shape, colour, overlapping and gaps in her mouth. After discussing the potential options available to her with the treatment coordinator initially she then discussed her options further and in far more depth during her consultation with Dr Halley. The outcome being that she opted to go for the ‘fixed teeth in one day’ procedure. The patient could not be happier with the results, not only did she get the smile that she had always wanted she got her confidence back too. This 73 year old patient had for many years been going about her everyday life wearing an upper denture that was ill fitting and uncomfortable to wear. 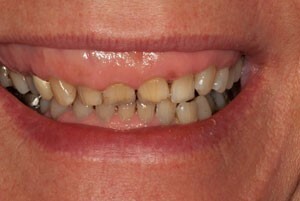 Having decided to stop wearing the denture at home she began wearing it only when it was needed. Feeling at a loss this lady began looking into other options that may be available to help. When she paid a visit to Cherrybank she was reassured and relieved that there was something we could do. After going through various treatment options she decided she wanted to look more into the ‘fixed teeth in a day’ procedure. Which she decided would be best for her. After the initial consultation and careful treatment planning with the dentist she had 2 dental implants placed with a fixed bridge. 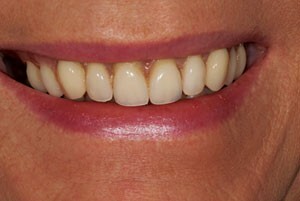 Making a full and quick recovery the patient no longer has to worry about ill-fitting dentures. Not only has she gained her confidence back but her lifestyle has changed dramatically due in part to the fact that she can now enjoy a fuller, enriched, varied and more healthy diet. This 42 year old patient came to Cherrybank Dental Spa in Perth and was very unhappy with her smile, so unhappy that at times she was covering over her mouth when talking. The overall appearance when smiling and how small and discoloured her teeth looked really bothered her and made her feel very self-conscious. 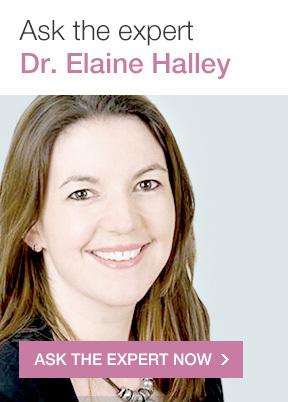 When examined by Dr Elaine Halley it was established that the prognosis for her teeth was very poor and that a lot of dentistry would be needed to restore the teeth and enhance her smile. This could be done through various treatments such as root treatments, crowns and veneers, which would ultimately be very costly to the patient. Another option was discussed at the consultation regarding the all on four ‘fixed teeth in a day’ procedure which the patient decided to go for. She could not be happier with the results this has not only rejuvenated her smile but also given her smile back boosting her confidence and enabling her to look and feel her best.